Now Available with Aluminum or Steel Triple Lock Hook. Extremely lightweight, weighs only 2.8 lbs! (including aluminum Pompier hook). Forged alloy steel escape system attachment D-ring. Sturdy, lightweight nylon webbing 1 ¾” wide stitched with high tenacity nylon thread. 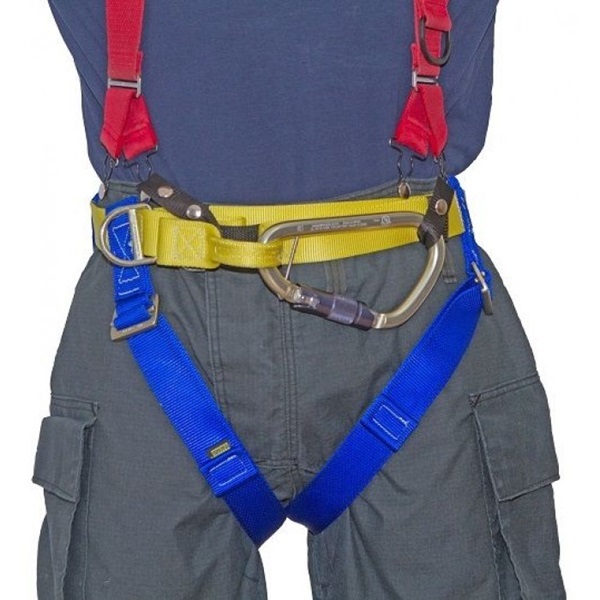 Easy waist belt operation, just engage steel snaphook and D-ring. Available with right side or left side (FDNY style) opening, left side shown. Unique design lowers the body’s center of gravity and helps reduce the possibility of toppling. Can be attached to bunker pants. Pompier hook stores at center front position.